If you had a magic recipe for glowing skin, would you use it? Today, we’re going to walk you through why dry brushing has become one of our favorite daily routines. To start, dry brushing is a technique that is used on our favorite organ. Can you guess which one? If you guessed SKIN...you are right! Skin is in, Royals, and dry brushing is the ultimate way to take care of our largest organ. Our skin is a reflection of our internal world and is key in the daily detoxification of the body. Our skin receives a third of all the blood that is circulated in the body, and when the blood is full of toxic materials the skin is a reflection of these problems. In fact, the skin is the last to receive nutrients in the body yet the very first to show signs of imbalance or deficiency. Knowing this, I’m sure you can imagine why we’re so skin-obsessed! So, what is dry brushing? At first glance, an increase in circulation may not seem like a big deal, however, it can actually help reduce the appearance of cellulite, which is a major benefit in our eyes! Cellulite is toxic material accumulated in your body’s fat cells. Rather than undergoing surgery, why not dry brush instead? Daily dry brushing helps to shed dead skin cells while encouraging new cell renewal. This technique results in smoother and brighter skin. For those that struggle with ingrown hairs, dry brushing can also help to remove those pesky hairs! 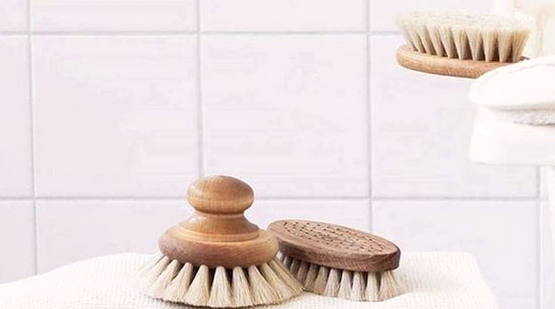 By releasing toxins, dry brushing helps improve blood circulation and the body’s discharge of metabolic waste. This allows the body, blood, and organs to run more effectively. Not only does dry brushing feel great while you’re doing it, but the act of running the brush on your skin stimulates nerve endings. In turn, it rejuvenates the nervous system. Dry brushing also helps your skin absorb nutrients by eliminating clogged pores. Now that you know all the benefits of dry brushing, it is time for you to incorporate this healthy technique into your routine! Come into Spa Kingston this month and talk to our team of technicians to learn more about dry brushing and see for yourself why we love dry brushing!